Fasting is not just a religious practice – it is a scientifically proven method that can improve one’s health within a few days only. Simply have a look at fasting monks worldwide. Regardless of culture or geography, all live long, healthy lives. Also, you’ll have a terribly hard time trying to find an overweight monk. It is thus safe to adopt it as a weight loss method and hope for the best. 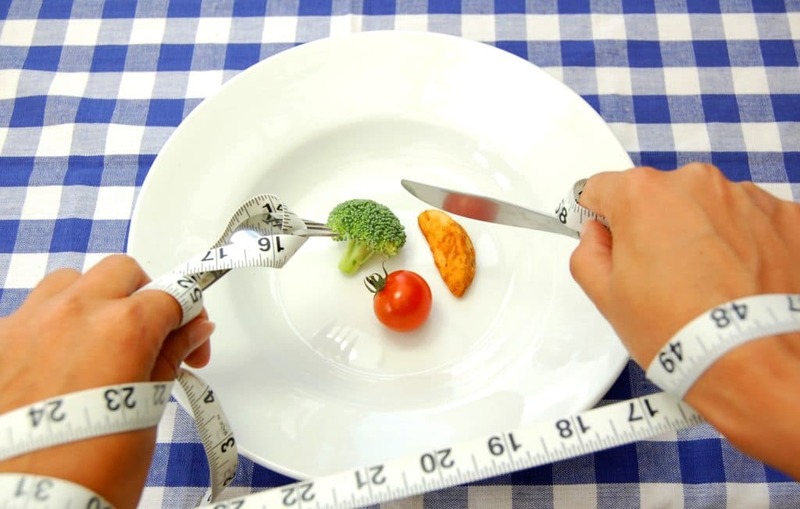 Fasting to lose weight is real and incredibly beneficial. To make it work, you need to understand its principles and practice it accordingly. In the 1930’s, Clive McCay proved in a trial that lab mice lived longer if calorie restriction was exercised (but not starvation or malnutrition). Their lifespan would be with up to 50% longer. In a more specific study, neuroscience professor Mark Mattson from the J Hopkins School of Medicine observed that fasting lowers the calorie count, which in turn affects the brain positively, preventing Parkinson’s and Alzheimer’s disease. He also explained that glucose in food is stored by the liver and then “burned completely” in 10 to 12 hours. When this stage is over and the blood glucose is depleted, the body starts using its own fat cells to produce energy. By fasting, one gets less glucose and finished it faster; therefore, they will begin to burn the adipose layer much sooner. However, this doesn’t only call for calorie restriction you are also expected to avoid snacking and to space out your meals. The stunning longevity of Okinawa Island inhabitants in Japan was explained through their diet and their low calorie intake. According to them, one should stop eating before the fulness sensation occurs. Apart from what was mentioned, there are countless other sources that prove how beneficial fasting is. It is also milder on your mental side, since your brain known it’s temporary. There are two main types of fasting and both of these are recommended for weight loss. One takes the form of caloric restriction. It recommends portion control, avoiding satiation and fattening foods. A good way to achieve this is to reduce each meal size and to use smaller plates, so that the food appears more plentiful. A calorie restrictive diet may also imply skipping meals. For most people, skipping breakfast feels easier, but going without dinner is in fact the more beneficial approach. If you’re eating the right foods, however, you won’t need to skip meals you can feel full even with low calorie meals (consider soups, salads, green smoothies). 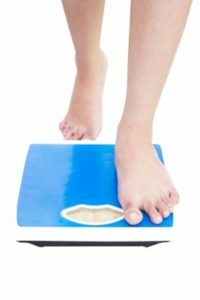 The other well known type of fasting to lose weight refers to opting out of certain food categories for a given period of time. The best form is exactly in the likes of the vegan diet: no animal products, just vegetables, fruits, beans, nuts, seeds etc. This will cleanse the body and renew one’s energy, as well as ease depression symptoms. It comes with a warning though: do your research on genuinely healthy foods and don’t indulge in highly processed vegan foods you find in supermarkets – for example vegan cheese. These are usually filled with noxious chemicals that shouldn’t be there, especially taste enhancers that will get you fat eventually. Keep it clean, simple and fresh. Fitness and weight loss magazines and websites are frequently pointing to intermittent fasting as a means to control one’s weight. 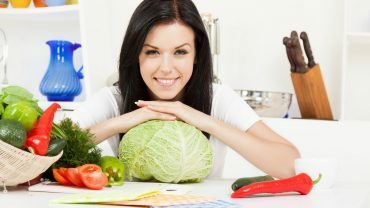 The method consists of adopting a low calorie diet for a brief while, in cyclic manner. Scientists claim that this can “restart” bodily processes and even work at a cellular level. When you eat less for a while (or don’t eat at all), insulin drops and fat burning begins. Hormonal production is given a boost. The body can finally stop spending energy on digestion and focus its healing and restoring powers onto cells and tissues. Also, it starts to remove waste more effectively. With intermittent fasting, you can lose fat all over, but especially around the midsection. Fast for short terms only to regulate your hormones and shed up to 8% of your body weight. A study carried out at the Queen’s Medical Centre in Nottingham UK showed that a 48-hour starvation period increases the metabolic rate. The basal metabolism got a 3.6% boost and thermogenesis was also increased. Researchers at the Department of Internal Medicine of the University of Vienna, Austria, noticed an increased energy expenditure even when resting. Their study was focused on energy metabolism during food restriction. Intermittent fasting will even increase your stress resistance, claims Dr. Valter Longo in conclusion to his research at the University of Southern California. The positive effects were observed in mice even when they were allowed to have an all-you-can-eat diet after fasting. Fasting with more or less rigor creates better health through its many benefits; it can even prevent and fight cancer. Scientists agree it lowers blood pressure, cholesterol and diabetes risk, as well as inflammation. In addition, it fully refreshes the immune system, as the good gut bacteria is allowed to replenish itself, which has effects not only on the immunity, but also on digestion. Fasting has an impact on thyroid hormone production, too. It will help you slim down and lose fat inside the abdomen too, which would otherwise pose a very serious health risk. Anthropologists consider fasting to be natural to human beings and animals alike. For the most part of our history, we’ve been relying on nature to provide us food. Game was not always available; it also depended on the skills of hunters. Plants and fruit were seasonal and, at times, bad weather would ruin the crops. With limited food availability and storage possibilities, people could not rely on a constant supply of food. They often had to go through prolonged times of hunger. In conclusion, the body was made to adapt to this lifestyle and imitating it through fasting can do no harm. 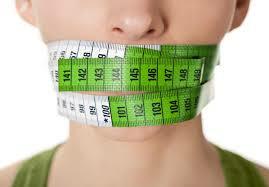 It may be, in fact, much better for us than weighing our system down with food on a permanent basis. If you’re not careful, fasting can make you fatter. The best tip you can use is to start slowly. If you’ve been used to many high-calorie meals with all kinds of foods, starting abruptly can shock your body. In response, it will consider itself started and store any fat you’ve accumulated or that you will be eating, thus increasing the excessive weight. It’s the reason why so many people are frustrated with low calorie diets. Start with moderate change and slowly work your way through, by eliminating fattening foods gradually. Fast one day per week, then two and so on. Experts say it’s better to skip the dinner in order to lose weight. This because, as your body drifts to sleep, it slows down its functions and consumes very little energy. If your system is loaded with calories from the dinner you’ve just had, it stores the nutrients as fat. If you skip breakfast, you might feel bad throughout the day and jeopardize your metabolism, whereas if you skip dinner you’re not feeling starved. Whether you cut your food intake with up to 40%, skip dinner or refrain from eating animal foods, the benefits will be quick to show. Fasting isn’t suppose to be a torture, which is why the intermittent method is recommended. Short periods are much easier to manage and deprivation barely has any negative impact. Give your body the chance to improve its functioning, to cleanse itself and to become more efficient at burning fat. You will begin to lose weight without exercise.